2017 Futurity - Manassas takes a second in a very tough class -- and then takes RESERVE CHAMPIONSHIP! This young medium brown male is as soft as silk, with EXTREME uniformity, brightness and crimp characteristics. 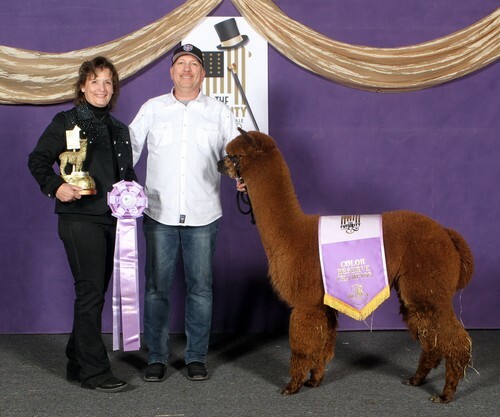 Judge Jill MacLeod has RAVED about this boy, making comments about his exceptional fleece and handle. 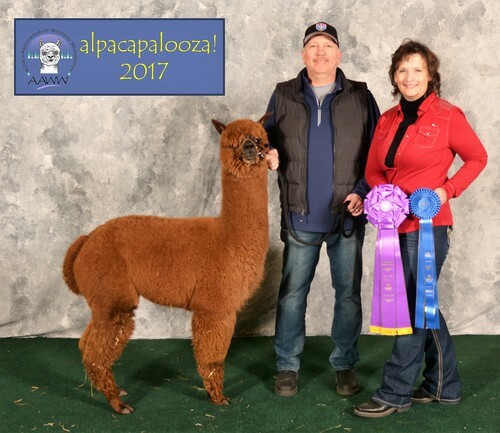 2017 AOA National Show - Manassas takes the Reserve Invited Champion banner! 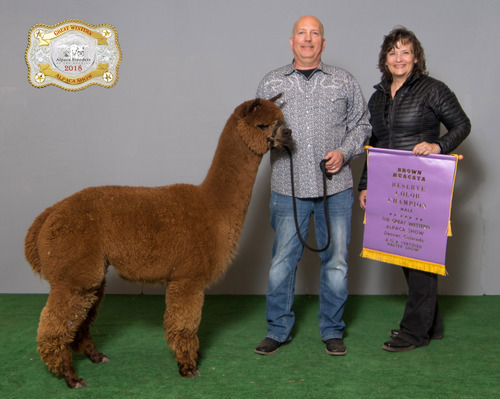 Principio, who is an 8x champion – a handsome male who has a gorgeous fleece, a beautiful head, great coverage, density and is phenotypically correct. 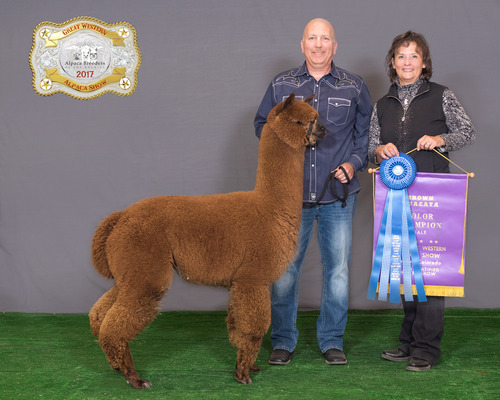 His dam, Amber Autumn Elania is a champion in her own right. 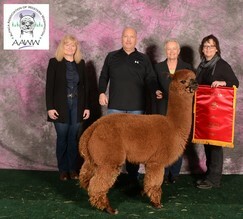 Mansassas has excellent presence in the ring which matches his outstanding fleece!